In this month’s issue of Beyond the Classroom, we are proud to present to you, Lama Majaj – Principal Art Psychotherapist at Extraordinary People. 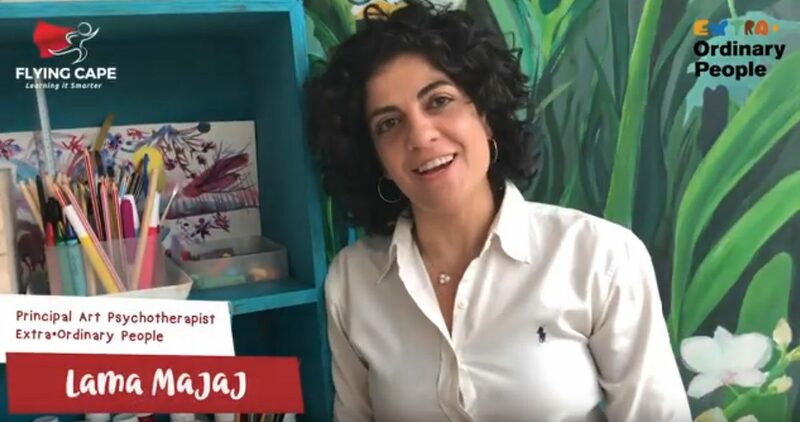 She is a certified international art psychotherapist with more than 15 years of experience in the field and has worked extensively with children with special needs in various settings in cross-cultural settings. Prior to joining Extra·Ordinary People, her work focused on trauma, oncology, palliative care, mental health and social change. She held positions in Australia, Middle East, and Asia as Manager, Arts in Health at The Olivia Newton-John Cancer Wellness & Research Centre and International Operations Manager for Red Pencil. Check out what inspired her to join the team at Extraordinary People and hear some of the tips she has for the caregivers of children with special needs!